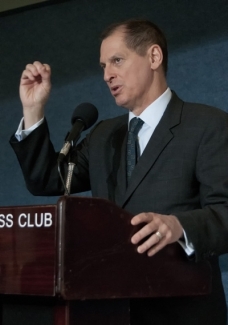 Gary Shapiro, President of the Consumer Electronics Association, discusses his new book, Ninja Innovation: The Ten Kiiller Strategies of the World's Most Successful Businesses, at an event at the National Press Club, April 3, 2013. 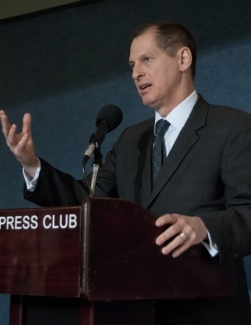 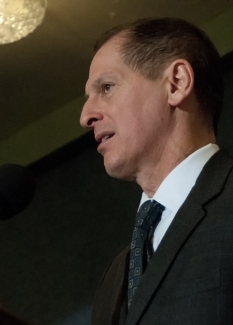 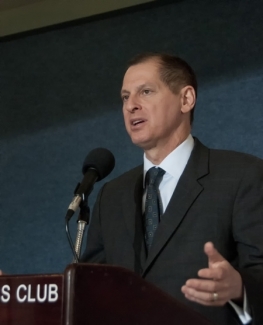 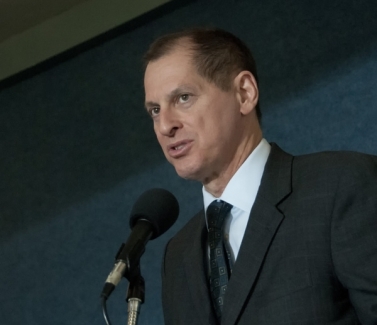 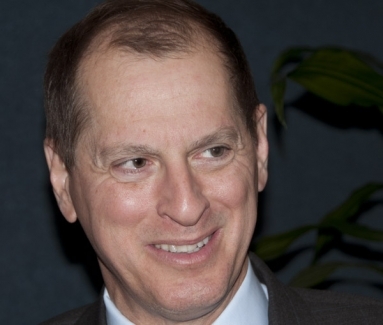 President and CEO of the Consumer Electronics Association, Gary Shapiro, speaks with guests at a reception preceding his talk at the National Press Club, April 3, 2013. 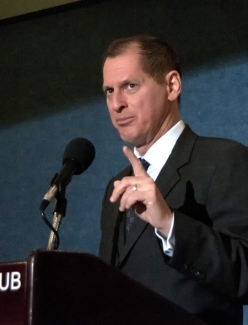 Gary Shapiro, President and CEO of the Consumer Electronics Association, speaks the key factors in business success - discipline. 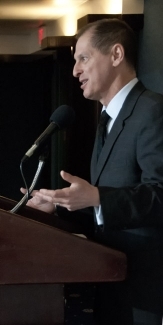 mission-oriented strategy, adaptability, decisiveness, and a will for victory - at an event at the National Press Club featuring his new book, Ninja Innovation, April 3, 2013.